Developer: Honor Code, Inc. Publisher: Honor Code, Inc. This first-person survival story unfolds from inside a “walking coffin” — a half-ton, high-tech deep-sea dive suit — following an industrial catastrophe. 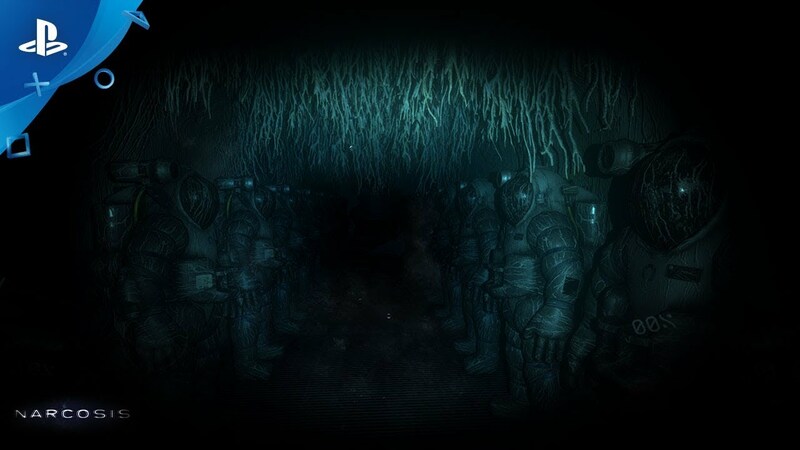 Influenced and inspired by a growing appetite for unconventional horror and narrative-driven games, Narcosis is rooted in reality, but steeped in the surreal. Pressure Kills: High-stress situations accelerate oxygen intake, distorting sight, sound, space and time. Hostile Waters: A knife, flashlight and flares are essential to surviving the nightmarish flora and fauna of the abyss. Phantom Narrative: The survivor’s account unfolds in inexplicable ways alongside the player’s journey. Beyond Good and Evil: No shadowy organizations or eldritch terrors to face, only primal fears and human limits. Terror Verite: A haunting, ambient soundtrack includes a closing theme by celebrated composer Akira Yamaoka (Silent Hill series).